Anna Webber is a New York-based flutist, saxophonist, and composer whose interests and work live the overlap between avant-garde jazz and new classical music. With her Simple Trio, featuring drummer John Hollenbeck and pianist Matt Mitchell, she has released two critically acclaimed albums on Skirl Records: Binary (2016) and SIMPLE (2014). 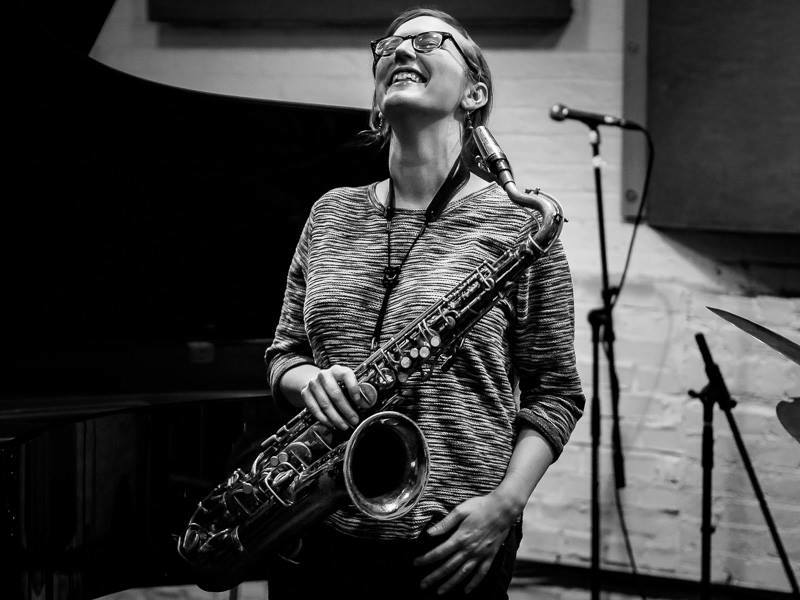 Webber’s other projects include her septet Percussive Mechanics, Jagged Spheres with Devin Gray and Elias Stemeseder, and The Hero of Warchesterwith Nathaniel Morgan and Liz Kosack. She has performed and/or recorded with bands led by Dan Weiss, Jen Shyu, Matt Mitchell, Ohad Talmor, John Hollenbeck, Ches Smith, Hank Roberts, Harris Eisenstadt, Adam Hopkins, and Erik Hove.